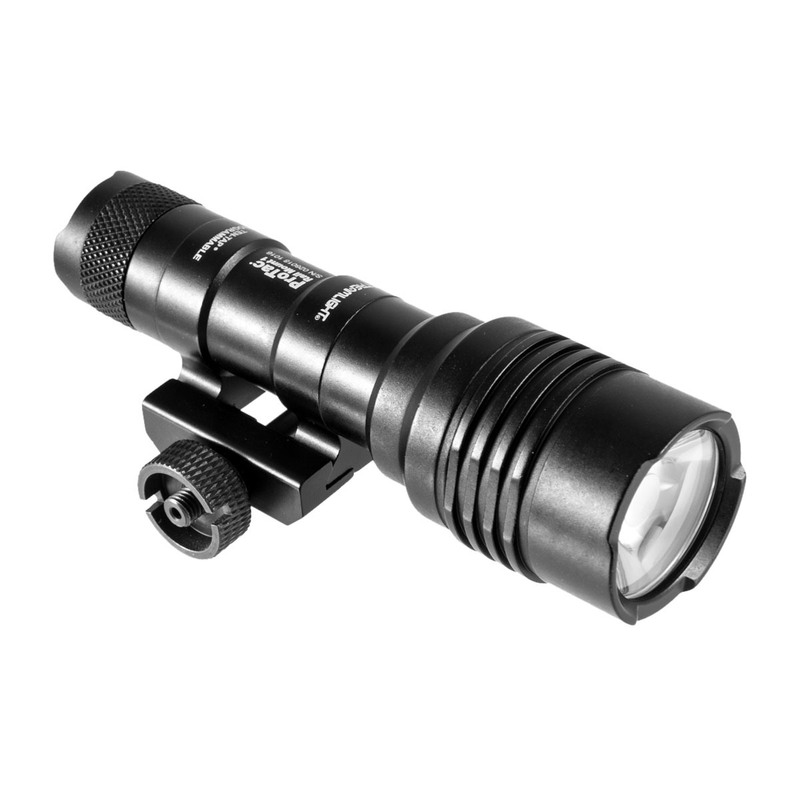 The ProTac series expands into weapon-mounted lights with this light featuring a dedicated fixed-mount for Picatinny rails. It uses either a remote switch with momentary/constant on operation or a standard push-button tail switch, and can run on either a lithium battery or an easy-to-find alkaline battery. Easy to use pressure switch comes with a button for on/off and a pressure switch for momentary activation.